I remember the day I made this photo. I never know what God is going to do–or show me in a picture after the click and release of the shutter. This shot is actually a layered picture–made with picasa. The church was the first one we worked together, side-by-side, laying bricks, building a place for worship. I had my picture, and then finding a map of South America on the picasa photo website, I layered. 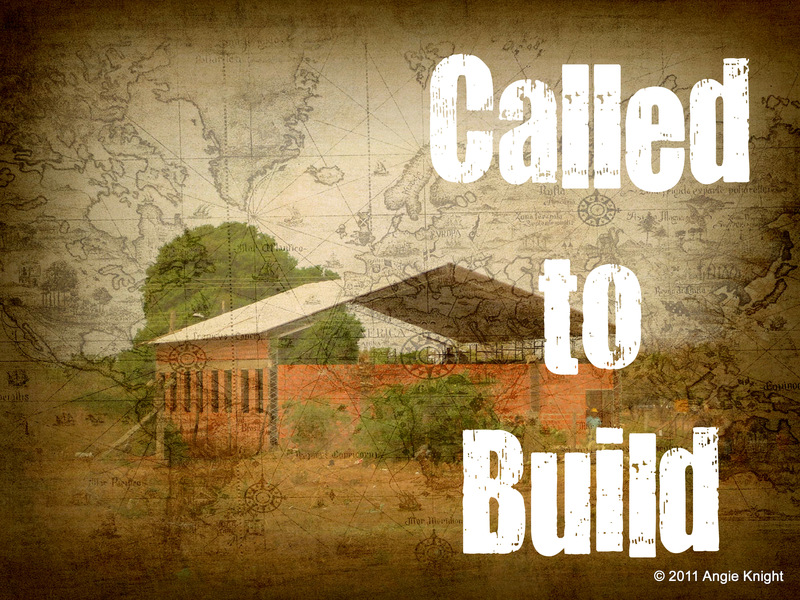 The second I added the words, “Called to Build”, it happened. Shivers—goose bumps–no window open, no air blowing, but a knowing God in the form of The Holy Spirit, just entered and descended. I admit–there are days I know–am confident. Then there are days when the rug seems pulled out from under me–and I stumble. But I am confident of my purpose. Love Him. Serve Him. Love others. Serve others. Do you know what you are called to do? Your purpose? It’s more than just building with us. It’s about changing lives–helping others know, really know, the Christ we love and serve. This morning, in prayer/conversation with God I set my “wants and desires” aside. I asked for His. His purposes to be fulfilled in our lives. This dream…this plan… I’m not totally clueless on. But…. We are following Him. So I don’t have to “know” every detail….just trust. (c) Angie Knight 2014–The Knightly Life. All rights reserved.